I’m writing this on Saturday while I wait for my dinner to be done, and I have to say what a gorgeous day! I got up early and headed to the Farmers Market for the freshest, most beautiful produce. It’s sunny, warm with the slightest breeze, I simply love it out!! However instead of spending the day outside, I worked in the kitchen making today’s farmers market fresh scrumptious recipe, along with my, flavorful, light dinner. Oh I can’t wait for it to be done. Hopefully if the pictures come out I can share it with you tomorrow. At the Farmers Market I picked up a case of the most sweetest strawberries ever. They are so good, juicy, plump and simply my favorite fruit of all time. I bought a case last Saturday and I’m proud to say I ate it all. I didn’t bake with it or anything, I just ate them. 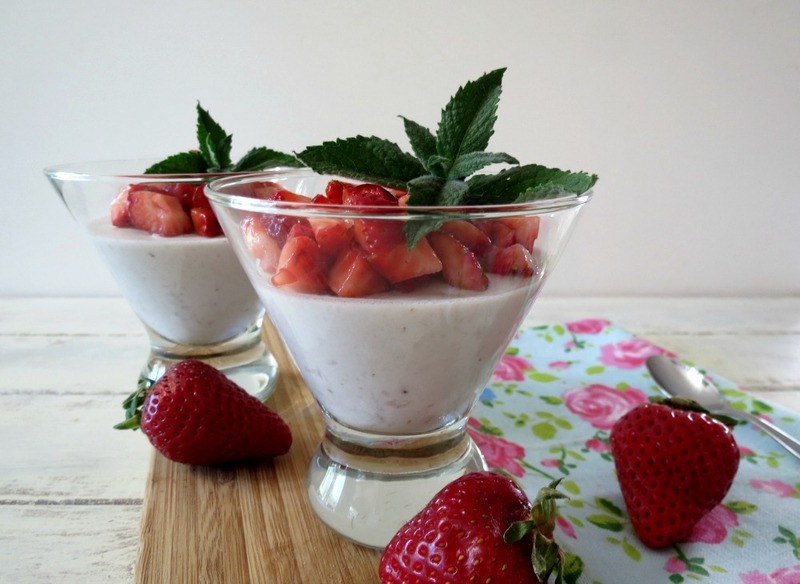 But for today’s recipe, I did use them in this creamy, sweet strawberry mousse. Not only is my mousse topped with sugar-coated strawberries, but I also hid some inside, for a perfect little surprise! I have to say you can never have enough strawberries! This dessert is so simple to make to and only contains a few ingredients. The mousse is made with Coconut Cream that I bought at Trader Joe’s. You place the can of coconut cream in the fridge for 24 – 48 hours, don’t touch it, when you open the can up you have coconut meat. Coconut meat, I don’t know why they call it meat, it’s kind of weird, but anyway, the coconut is super thick, here’s a picture so you can see what I’m talking about. Here I am scooping it out. Just look at the rich, thickness of the cream. Once you start to beat it, it becomes light and fluffy like whip cream! I placed my cream in my stand mixer and beat it until it became fluffy and added the secret weapon, strawberries But not just plain strawberries, I cooked them on the stove top so they would soften up and leave me with a nice thick, sweet juice. I was looking for some plump berry juice here. Once my strawberries cooled, I beat them in coconut cream and got the most flavorful liquefied coconut juice ever. But don’t worry if your mixture turns to liquid, it actual makes it easy for pouring into your cups. Once you place the mixture back in the refrigerator to rest, they harden back up, kind of like pudding does. For an added bonus, I chopped up 2 cups of strawberries and sprinkled it with stevia, than I let it marinated the strawberries for a little bit. 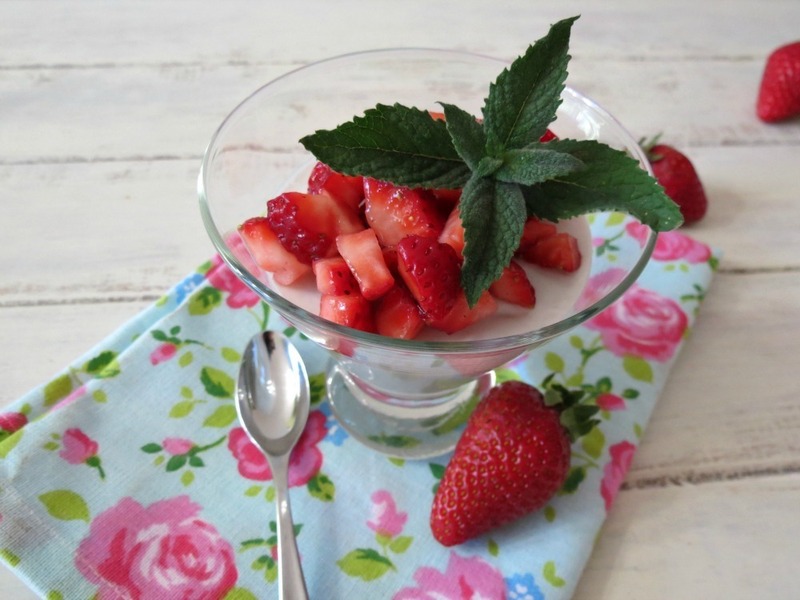 The longer the stevia or sugar sits on the berries, the juicer and sweeter the strawberries get. My Husband loves them this way! I remember as a kid, my parents would by the frozen sweetened strawberries, you know the stuff in the box and they would serve it over ice cream and hot fudge. Those sundaes were our Sunday treat. My Sister and I used to get so excited when we would go to Wilson Farms the local convenient store because we knew sundaes were going to be made! That’s what I think of when ever I marinate strawberries. 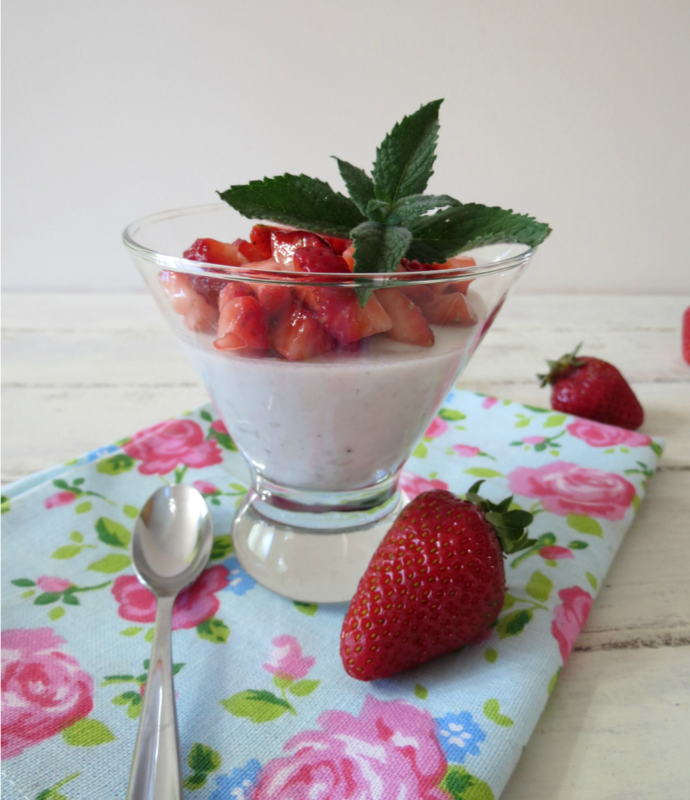 Here is my creamy, dreamy, strawberry mousse. So good, so rich and just simply perfect! Not only is this perfect, but it’s a dessert for everyone because it’s also vegan and gluten-free! 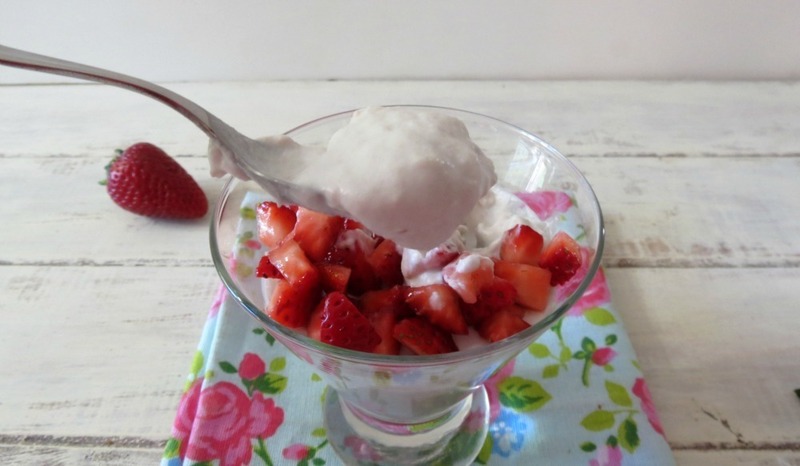 A creamy, sweet coconut mousse whipped with strawberries and topped with a sweetened strawberries. Refrigerate 1 can of full fat coconut milk for 24 - 48 hours, do not shake the can. In a sauce pan add strawberries, ½ tsp. stevia and water, over medium heat, mix until thicken, about 5 - 7 minutes. Pour strawberries and juice into a bowl and let it cool to room temperature. Meanwhile; in a large mixing bowl, scoop out just the cream of the coconut milk; do not use the juice and beat until light and fluffy. Add the vanilla extract, ½ tsp. 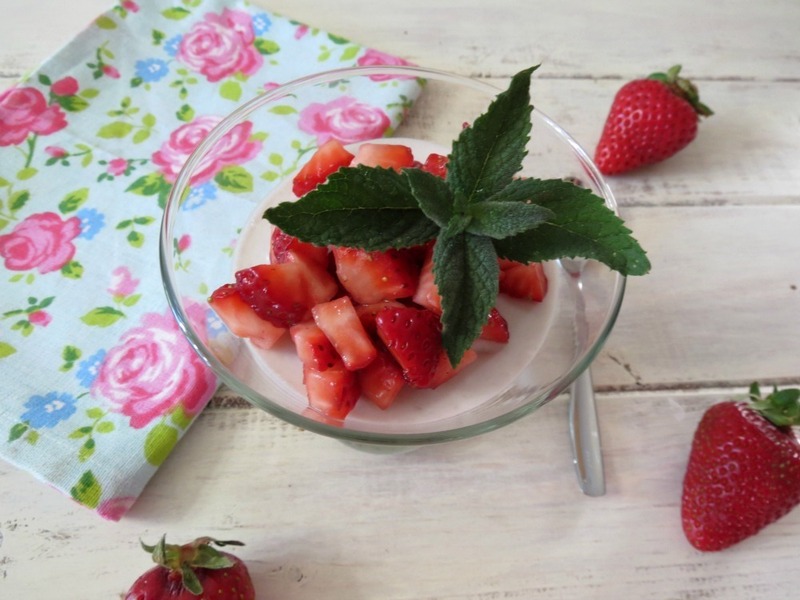 stevia (to taste)and the cooled strawberries. Beat until well incorporated. The mixture will liquefy. Using a measuring cup, scoop out ½ cup serving and divide evenly into 6 cups or bowls. Refrigerate until it slightly harden. Meanwhile, prepare the topping by adding 2 cups strawberries and ½ tsp. stevia in a bowl, mix until combined. Refrigerate until ready to use. The longer the strawberries marinate with the sugar the sweeter and juicer the strawberries will be. When ready to serve evenly divide the marinated strawberries over the top..
Well my Friends, I forgot my glasses at work and the computer is killing my eyes, time to shut it down for the night. What a neat trick with the coconut milk! Your mousse looks terrific, Jen! 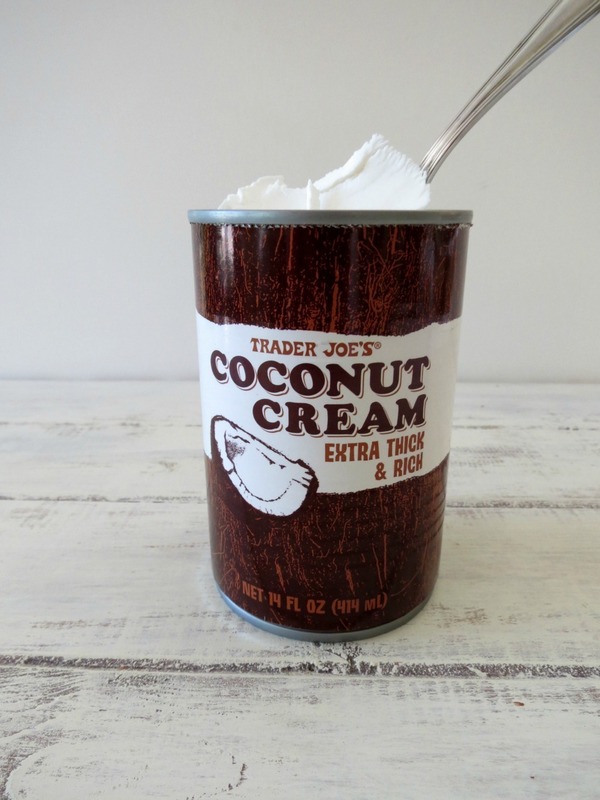 Wow what a GREAT idea for the TJ’s coconut cream! Sounds perfect for such a decadent dessert! I looooove TJ’s coconut cream. And I love these! Mmmmmm I can imagine making this will a strawberry balsamic reduction on top, Yummmm! 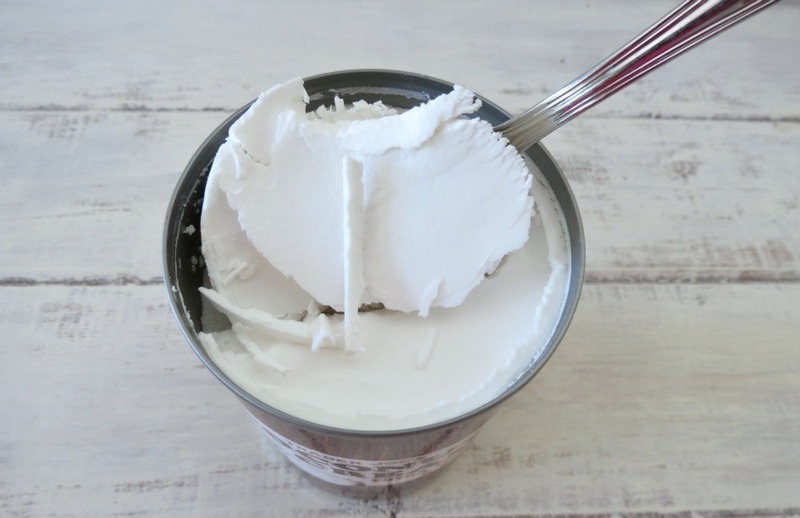 What a great idea using the coconut cream, soooo easy! Cannot get enough of your recipes! YUM! How do you get sooo many recipes in per week? You amaze me! I love mousse! 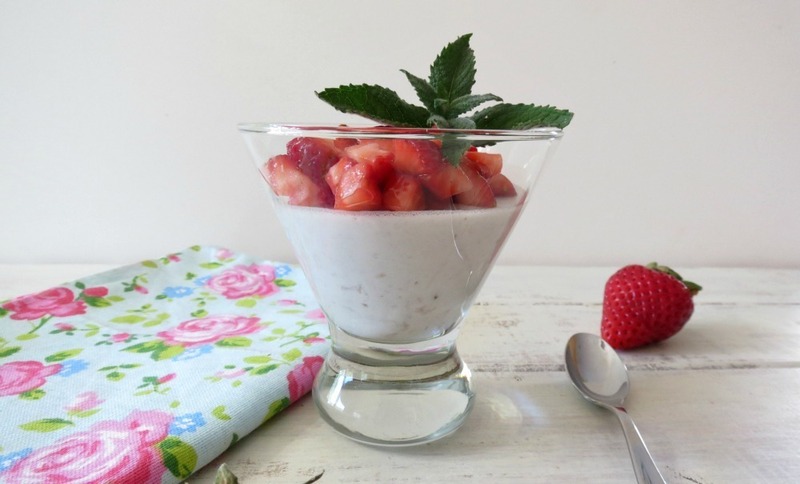 What a fabulous idea using the thickened coconut cream! Can’t wait to try this! Oh la la, drooling over this mousse! It’s finally warming up here and I totally want to eat this while soaking in the sun today. I love the strawberry more then the chocolate, but it could because I’m on a strawberry kick! What a simple little treat 🙂 It looks so good, Jennifer! Thanks so much for joining us at last week’s All my Bloggy Friends …. We look forward to seeing what you share this week! Thank you for having me Jamie!